We can all agree that nothing could be more important than protecting our children, but some of us might need a quick reminder of the Arkansas school bus laws that are designed to do just that. We’ve made it easy for you: here’s a quick guide to help you get an A on your morning commute! When a school bus stops and displays its flashing red lights, every driver coming from any direction must bring their vehicle or motorcycle to a complete stop before they reach the school bus. They must remain stopped until students have finished boarding or exiting the bus and the bus begins moving again. Now comes the tricky part: Another subsection of the code states that when busses are traveling on a multi-lane highway with a dividing strip or median that is at least 20 feet wide, opposing traffic is not required to stop, but should continue to exercise caution and be on the alert for children. A multiple lane highway is defined as one with 4 or more traffic lanes, including at least 2 lanes traveling in each direction. A dividing strip or median is defined as either a barrier, grassy median, or paved median – a section in which cars can’t drive. This means that a turn lane is not considered a dividing strip. Thus, if you are driving on a 5-lane highway in Arkansas that includes a turn lane, but no physical barrier or median, you are required to stop when you meet a stopped school bus traveling the opposite direction. This is important because much of Arkansas roadways are rural highways that do not have a physical dividing strip. We believe that many driver violate the law because they are confused about this specific section of it. In a single day in 2013, Arkansas bus drivers counted 589 instances of illegal passing. 445 of those incidents occurred when the driver was approaching from the opposite direction. The law does state that students should never be allowed to cross a multiple-lane highway, and bus drivers are required to adjust their routes so that this never happens. Still, children may act impulsively, and accidents can happen in mere seconds. Stopping for busses is not a mere suggestion. Thanks to Isaac’s Law, named for Bryant elementary student Isaac Brian who was killed in 2004 after exiting his school bus, violating Arkansas school bus laws now carries a stiff penalty. Anyone convicted of passing a stopped school bus will face any combination of a fine of $250-$1000, up to 90 days in jail, driver’s license suspension of 21 days to 1 year, and up to 400 hours of community service. And in cases like Isaac’s where the driver kills a student, he or she is guilty of negligent homicide, a class C felony. Unfortunately, many bus drivers don’t have time to record the license plates of cars who pass them illegally. Some Arkansans argue that legal penalties will not be a significant deterrent to law-breakers if they are rarely caught in the act. But at Taylor King Law, we believe our true motivation to follow Arkansas bus stop laws is not found in fines or penalties, but in a desire to keep our children safe. Every stopped school bus and flashing red light indicates that someone’s son or daughter is near the road. We can all do our part to ensure they get home safely. If you have legal questions pertaining to school bus safety or safety on the road consult a local attorney. Visit our Locations Page to find the office located nearest you. With 5 locations across Arkansas, we really are on your side, by your side. We are committed to being your trusted source for legal assistance in Arkansas. 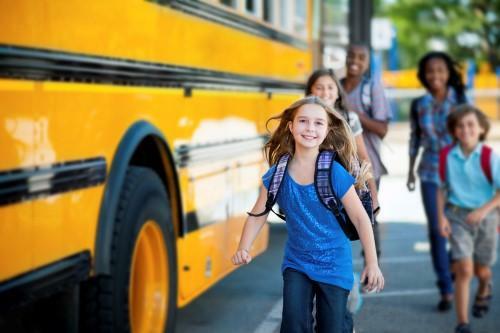 For more resources or to learn more about National Bus Safety Week, visit the National Association for Pupil Transportation website.